A new way of mining gold from water? Environment, Nanomaterials, Water, Gold. The aquatic macrophyte Ceratophyllum demersum immobilizes Au nanoparticles after their addition to water. The scientific paper authored by S.A. Ostroumov, G.M. Kolesov. Amazing results were found in a joint research project that was run by scientists at M.V.Lomonosov Moscow State University and V.I.Vernadsky Institute of Geochemistry and Analytical Chemistry, Moscow, Russian Federation. According to the results reported in the paper, it was discovered that the aquatic plant (macrophyte) Ceratophyllum demersum immobilized gold (Au) nanoparticles after their addition to water. This is the first time it was shown that the nanoparticles of gold (Au) in substantial amount bind to the living biomass of the aquatic macrophyte, Ceratophyllum demersum. The concentrations of Au were measured in the samples of the phytomass using neutron activation analysis (NAA). As a result of the binding and/or immobilization of the nanoparticles, the amount of Au in the samples of the phytomass increased manifold (by a factor of 430) above the background level of gold in the plant tissues. The increase was by two orders of magnitude. The new results may become a know-how to develop a new technology to extract gold or other rare chemical elements from water. The new data added a new aspect to the modern vision of the multifunctional role of the biota in the migration of elements in aquatic ecosystems. Also, the result added new information to the studies of interactions of Au with organisms that may contribute to new biotechnologies. The technologies using plants – phytotechnologies – open many new opportunities. Ostroumov S. A., Kolesov G. M. The aquatic macrophyte Ceratophyllum demersum immobilizes Au nanoparticles after their addition to water. – Doklady Biological Sciences, 2010 (Mar – Apr), Vol. 431, p. 124–127. [© Pleiades Publishing, Ltd., ISSN 0012-4966]. Original Russian Text © S.A. Ostroumov, G.M. Kolesov, 2010, published in Doklady Akademii Nauk, 2010, Vol. 431, No. 4, pp. 566–569. Bibliogr. 15 refs. Presented by Academician M.A. Fedonkin July 31, 2009. Received February 11, 2009. New conceptualization and terminology proposed: Biomachinery. Cyborgs vs. Biomachinery. In 1998, the author invented the term ‘biomachinery’, and published it in 1999 (see the second part of this file). Now it is clear that the term was useful and survived the test of time. This term means a kind of hybrid of two things: biological and non-biological ones. To a degree, this is relevant to what is called Cyborg. Examples of Cyborgs are Terminators and The Borg from Star Trek. A cyborg, short for “cybernetic organism”, is a being with both biological and artificial (e.g. electronic, mechanical or robotic) parts. The term was coined in 1960 when Manfred Clynes and Nathan S. Kline used it in an article about the advantages of self-regulating human-machine systems in outer space. …… Fictional cyborgs are portrayed as a synthesis of organic and synthetic parts…. The 1970s television series The Six Million Dollar Man featured one of the most famous fictional cyborgs, referred to as a bionic man. … Cyborgs are also often portrayed with physical or mental abilities far exceeding a human counterpart (military forms may have inbuilt weapons, among other things). [The end of the cited text from Wikipedia]. Cyborgs in films are sometimes very bad guys. Very often they look like humans. These two characteristics make the idea of Cyborg very different from the idea of biomachinery. Biomachinery is not associated with any specific or familiar form of body; and biomachinery is not doing any harm, on the contrary, it is doing a very good thing – upgrading water quality, purifying water, – which is one of key ecosystem services to benefit mankind. The following is a more scientific material on biomachinery. Dr. S.A. Ostroumov initiated and chaired the session “Ecosystems as Hi-Tech Water Purification Biomachinery” at the ASLO Meeting Limnology and Oceanography: Navigating into the Next Century. 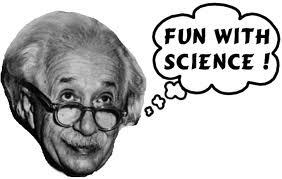 February 1-5, 1999, Santa Fe, New Mexico, the U.S.A.; it is the first time that he introduced the scientific term ‘biomachinery’. S.A. Ostroumov. Biomachinery for maintaining water quality and natural water self-purification in marine and estuarine systems: elements of a qualitative theory. – International Journal of Oceans and Oceanography, ISSN 0973-2667, Vol.1, No.1 (2006), pp. 111-118 © Research India Publications; http://www.ripublication.com/ijoo.htm; [Laboratory of Physico-Chemistry of Biomembranes, Faculty of Biology, Moscow State University, Vorob’evy Gory, Moscow, 119991, Russia]. SUMMARY. As it was mentioned above, the term ‘biomachinery’ was a part of the name for a scientific session that was initiated, organized, and chaired by Dr. S.Ostroumov in 1999 in the U.S.A. It was mentioned in Internet and immediately attracted attention. Many people liked it. 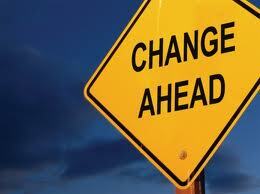 Now this word became a new part of English language. Now this word is in use. Biomachinery is the term that the author, Dr. 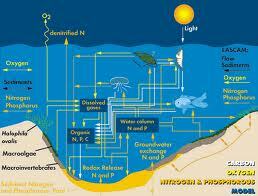 S.A.O., applied to better describe how ecosystems, especially aquatic ecosystem, function. The combined effect of collective functioning of many aquatic organisms was described in detail in his scientific publications. As a result of this team activity of water living creatures, water self-purification occurs. The efficient functioning of the aquatic biota (and ecosystem as a whole) has amazing similarity to hi-tech multi-component machinery. On this basis, the author proposed the term ‘biomachinery’, and applied it to characterize the functioning of aquatic ecosystems toward improving water quality. 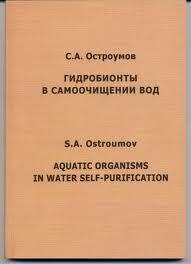 The new term was introduced in the book: Ostroumov, 2008. С.А.Остроумов. Гидробионты в самоочищении вод и биогенной миграции элементов. М. МАКС-Пресс. 2008. 200 с.
Предисловие члена-корр. РАН В.В. Малахова. (Серия: Наука. Образование. Инновации. Выпуск 9). См. подробнее на стр. 9 этой книги. Author Sergei OstroumovPosted on May 3, 2012 July 17, 2012 Categories UncategorizedTags 2012, biochemical ecology, biology, discoveries, ecological, Ecology, environmental science, exometabolism, innovation, innovations, latest scientific terms, new, new ideas, new scientific terms, S.A.Ostroumov, science, scientific, terminological, terminology, биология, биохимическая, инновации, новая терминология, новые идеи, С.А.Остроумов, экзометаболизм, экология3 Comments on New scientific terminology. Exometabolism. New scientific terminology. Integral metabolism. Introduced in the book: Ostroumov, 2008. This new approach in ecology allows to see better the real role of organisms of a higher trophic level in regulation of the organisms of a lower trophic level. The method that was applied was to inhibit the functional activity of the organisms of a higher trophic level and to observe the consequences: what happens with the organisms of a LOWER trophic level. 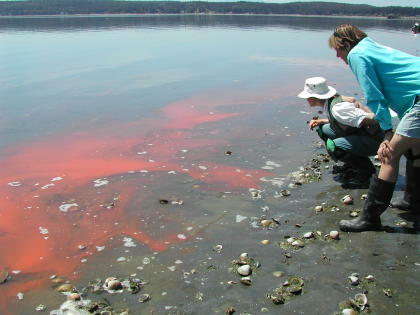 It was done by the inventor of this methodology in the laboratory experimental systems with bivalve mollusks that that a higher trophic level organisms as compared to phytoplankton algae. The algae are a lower trophic level organisms as compared to bivalve mollusks. 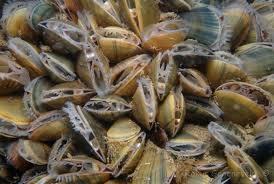 The bivalves feed on algae. In my experiments, I decreased trophic activity of bivalves using special chemical inhibitors. I used my previous discovery that some chemical – surfactants – can decrease filtering activity of bivalves (more about this discovery see: http://sergostroumov.scienceblog.com/2012/04/15/new-facts-on-hazardous-biological-and-toxic-effects-of-surfactants-and-detergents-paradigm-shifted/ ). The result of this series of experiments was very clear: as a result of my inhibition of the organisms of the higher trophic level (bivalves) I observed a very significant increase in abundance of the organisms of a lower trophic level (algae). The increase was – in some experiments – manifold. What is the significance of this scientific result? It is really important as the abundance of phytoplankton algae is of great practical importance in such phenomena as eutrophication and algal blooms (also cyanobacterial blooms, red tides, brown tides, etc.). As a result, we got an instrument that helps us to evaluate and quantify the role of organisms of a higher trophic level (such as bivalve mollusks in water bodies and streams) to regulate and control the organisms of a lower trophic level (such as phytoplankton algae and cyanobacteria). Actually it is about how nature prevents us and itself from environmental disasters which happen when we damage those beneficial natural mechanisms of control. We know those disasters under the names of eutrophication and algal blooms. The summary is given below. A new approach was developed to explore top-down control in ecosystems: eutrophication, algal bloom, water self-purification. New facts were discovered by the author about the organisms which are filter-feeders (suspension-feeders), these facts led to developing the new methodology to quantify the natural control mechanisms described above. This new approach gave methodology to quantitatively estimate the role of organisms in regulation via food web in ecosystem. See more detail about this discovery on the site  and in the publication .